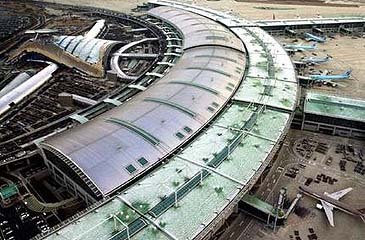 An aerial view of an international airport terminal. Supplier relationships - the ability of Asia's travel agents to secure access to an assured supply of quality travel content such as airfares, hotel rooms and rental cars - have emerged as the most critical business issue facing the region's travel agency businesses today according to a new survey commissioned by Abacus International. Abacus commissioned an independent research company to carry out the survey, with a total of 1,629 travel agents from 13 countries interviewed over the period 13 August to 21 September 2007. Almost half (48%) of all the agents surveyed said the relationship with suppliers was the most critical issue affecting their business today. This concern was especially marked in Thailand with 90% of agents there registering their concern about supplier relationships, while agents in Hong Kong and Indonesia (both 79%), Philippines (63%) and Taiwan (51%) echoed those sentiments. Don Birch, President and CEO of Abacus International said that despite the buoyancy of Asia's travel market, competition had increased among agents and the survey shows they are focusing on optimising their relationships with suppliers - with 81% of travel agents in Asia electing to work with different suppliers where possible. Increased pressure on profit margins from both suppliers and competitors was identified as the second most critical issue for those questioned, cited by 25% of travel agents as their most pressing concern, while matching technology to business requirements (18%) and staffing and resourcing issues (9%) completed the major issues affecting business today. Surprisingly, cost control did not emerge as a pressing issue despite the vast opportunities for travel agents to manage their cost. Instead, travel agents are looking at developing new revenue sources. "In this competitive environment the majority of travel agents recognise that they are more likely to see positive results by being proactive and focusing on what they can change, their supplier relationships, rather than agonising over external pressures," said Mr Birch. "What is interesting is that most agents have the same strategy for dealing with both the profit supplier concerns and margin squeeze - diversification," said Mr Birch. A staggering 94% of agents who were concerned with supplier relationships and 79% of travel agents concerned with profit margins said they already had or were planning to expand their product offerings in order to mitigate those concerns. Many were including medical, green, cultural and events tourism packages as well as honing their services to the corporate travel segment. This urge to diversity on account of pressures from supplier relationships is most keenly felt in Thailand (99%), Indonesia (96%), Hong Kong (95%), and Philippines (93%) and much less so in Korea (31%), Sri Lanka (53%), and Vietnam (68%) and they are aiming at specialised, high value areas such as medical travel, green travel, cultural and sporting events. Of the travel agents experiencing pressure on profit margins from suppliers and competitors, 44% of agents in the region are more disposed to consider additional offerings to corporate customers as the way forward. This was especially the case in Malaysia (57%), Sri Lanka (41%) and India (39%). Interesting regional variations emerged for the significant minority (18%) of travel agents who saw 'Understanding and applying technology to match business requirements,' as their major business issue. Emerging markets such as Pakistan (37%), India (30%) and Vietnam (28%) were more likely to see technology as the biggest issue. Of these18% across the region, 65% said they would seek to work with their GDS partner over the next 1-3 years to integrate technology into their current business operations, while 27% said they would rely on internal IT resources and just 16% would outsource. Don Birch said the findings of the survey reinforced what Abacus has been advising its customers in 15,000 travel agency locations over the past two years. "Operations will become increasingly service based with travel agents offering more value- added services from a full range of travel products. However it is not enough to be just selling a consolidated package of accommodation, air and entertainment tickets. Anybody can do that, but to be a travel agent of the future, the key is to differentiate and grow their businesses these agents must have unique products and a strong brand with multi-channel competency," said Mr Birch.